India defeated New Zealand by 45 runs through the Duckworth-Lewis method in its first warm-up match of the Champions Trophy played at the Oval, Kennington on Sunday. 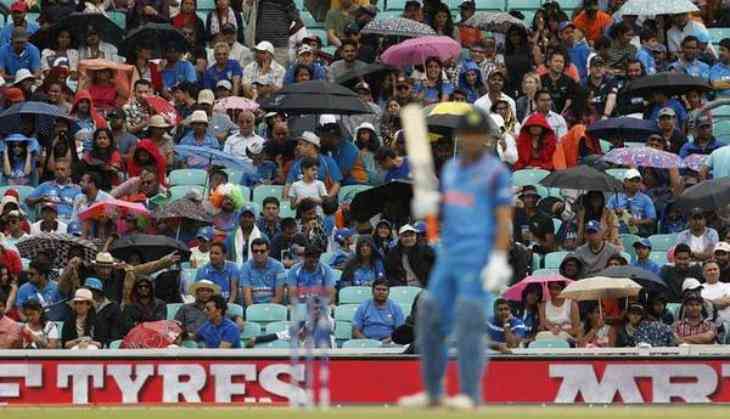 Chasing the target of 190 runs, India were 127/3 after 26th over, when rain poured in and the umpires called off the match. India needed to be at 82/3 by the end of 25th over to win the match by D/L method. Earlier electing to bat, the Blackcaps were restricted to 189 by strong bowling performance from Indian pacers Mohammad Shami and Bhubaneswar, who both scalped three wickets each and did not allow the New Zealand batsmen to cut-loose. Luke Ronchi (66 off 63) was the top scorer for New Zealand, while Kohli topped the score with 52 from 56 balls. India will play its next warm-up match against Bangladesh on May 30 at the same venue.